APP Translation is a Must – Here’s why! 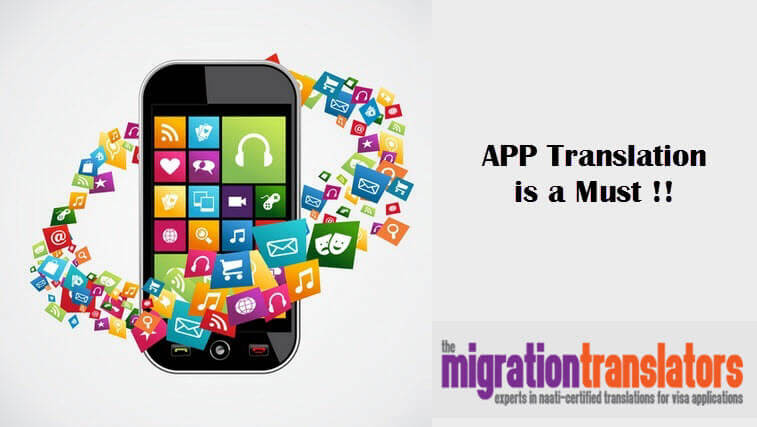 Home: Translation Services: APP Translation is a Must – Here’s why! Who around the world isn’t familiar with apps these days? Even in the most remote village in the middle of Africa there will probably be someone tapping away on their iPhone, tablet or Smartphone and a ready and willing consumer of one app or another. The growth of apps over the last few years is astonishing and there is no sign of that trend diminishing any time soon. Any app developer must be keenly aware of how the make or break in terms of profitability of an app is the size of the market it can be sold to. The only way you can grow your market is to make your app truly global. That means using a professional app translation service to convert the app instructions and user guide into the target language of the intended market. If you don’t do it, then your competitor is likely to instead and get an edge over your product. There are some amazing statistics that apply to the global nature of app use. There are around 7 billion mobile users worldwide, with over 50% of them in the Asia Pacific region. Any NAATI translation service in Australia that can provide an efficient app translation service has a ready and willing market right on their doorstep. 16 countries make up over 60% of the total world mobile user market, but that number is expanding. There are countries like India, which at present rates second in the mobile stakes where apps in English would be acceptable as English is widely understood in that country, but that doesn’t mean that apps translated into Hindi, Bengali and Malayalam, just to mention a few local languages won’t sell much better. The Chinese have overtaken every other country as the world’s largest mobile market. This is one country where apps, wherever they have been developed, just have to be translated into Chinese, otherwise it is unlikely they will be purchased. One app developer, David Janner, ran an experiment on the effect of app translation. He discovered that before being available in the translated form, 76% of the users of a particular app were English language speakers. After translation, the percentage of English language speakers dropped to only 10%. More importantly, the number of people downloading the same apps shot up by a factor of 5 to 1. Numbers sometimes speak louder than words!